And so it is the end of 2008. What better way to celebrate the sweet and piquant memories of the year past that with lemons and chocolate!! This month's challenge is brought to us by the adventurous Hilda from Saffron and Blueberry and Marion from Il en Faut Peu Pour Etre Heureux. 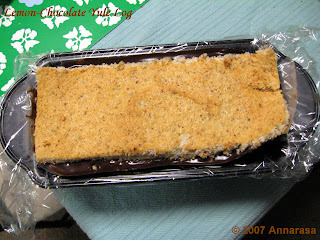 They have chosen a French Yule Log by Flore from Florilege Gourmand. I was a little alarmed when I saw the length of this recipe. My primary concern was the number of eggs that make an appearance therein. We do eat eggs here but they are really not our favourite food. I do bake with eggs and where possible eliminate the yellows and I dislike the smell and taste of the same. I have tweaked this recipe as per our tastes and have made several substitutions along the way. This recipe is excellent and tweaks and will it yields a beautiful and utterly delicious dessert. While the complete December Challenge can be found at SaffBlue's Google Group , my experience with this recipe is blogged below. Firstly, i have to say that I chose to half the recipe at the outset. To this end I chose a small loaf pan top assemble the dessert. I followed the recipe and added some lemon zest and extract into the batter just before baking. I got a beautifully golden, moist, melt in the mouth cake. Again I followed the recipe here substituting the milk chocolate with the dark chocolate. The taste was spectacular! I followed the recipe as given - only the butter I used was salted. Things were going well and so I got adventurous and decided to make the Gavottes or lacy crepes myself. I found the recipe really simple, skipped the vegetable oil, and baked the crepe for around 25 minutes to get the desired level of crispness. 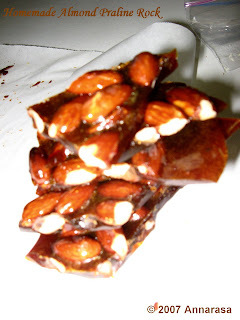 Then I make some fresh almond praline and voila a dark chocolate crisp insert! Warm the water soy milk. Blend the cornflour and sugar into it taking care to eliminate all lumps. Place on a low heat and cook stirring constantly for 3 minutes. 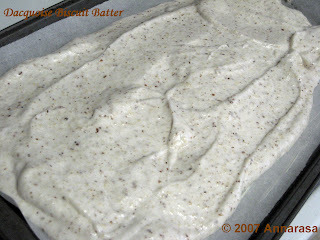 Remove from heat, let the cream cool, then add the lemon zest and extract. 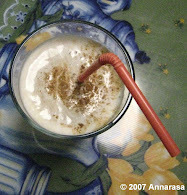 This is a variation on a recipe that I have long used to get using for custards and pastry creams!! I followed the original recipe by substituting agar-agar instead of the gelatin. I stuck the cake in the freezer, and I will ice it when we eat it. As it has been festive season, we are currently OD'ed on sweets and it just did not seem right to dive into it immediately. But having tasted virtually every element as I prepared it, I am assured that this cake is going to be delightful!!!! 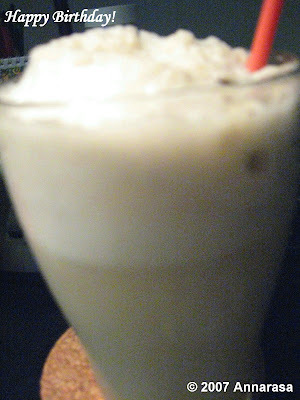 I will update this post in a few days when I intend to serve this for dessert. Meanwhile enjoy the photographs of the cake in preparation. P.S. It was delicious - must be all the times he was looking over my shoulder while I was in the kitchen LoL!! Baking bread has been a passion of mine. Its one I’ve followed across the world as I travelled. Apart from baking every so often I have collected a treasury of recipes from family and friends, even bakeries that I have found tucked away in cities I ventured into. On the other hand, this is the first time I am guest hosting a food event. I am taking the baton from Boaz who guest hosted BBD #14 @ Grain Power. Themed Coloured Breads, the roundup can be found at BBD #14: The Roundup. All the foodies who follow and participate in BBD need no introduction to Zorra @ 1x umrühren bitte. 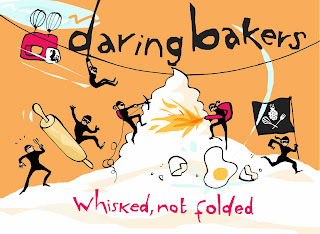 Bread Baking Day is her brainchild and has become a route by which so many bread baking enthusiasts on the web share their incredible enthusiasm, original skills, and fabulous recipes. What a wonderful way to celebrate that most basic of all foods that graces our plates at every meal – bread. 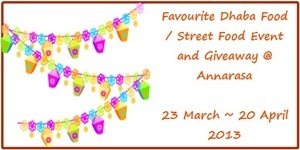 This month it is my honour to host this well followed food event. I had originally intended to make this announcement on 6th December 2008. However, as Zorra and I both discovered Boaz had already completed her colourful roundup, it was decided to advance the announcement to today. Though December is the last month of the year is also the time for festivals, holidays, and celebrations! Christmas, Hanukkah, Kwanzaa, Tohji-taisai to mention a few, all fall in December. Holidays and festivals bring together families and nothing quite spells togetherness than preparing a festive meal and eating with our loved ones. This year I encourage you to bring your family together for a great bread bake-off. Choose one or more festive breads for the holidays, take some time out, and create a holiday tradition of baking with the family, telling the story of the bread, and its significance for the festival. It could be traditional bread baked by your grandmother, one that you learnt from your travels and always wanted to try at home, or one that is typical to the country you now call home. BBD #15: Festive Breads welcomes them all. In short, for BBD #15, bring your family and friends together and bake some festive bread for your holiday table. Then share the recipe you chose, why you chose it, and if you were able to make it a family event. The bread can be any shape and size, it may be dry or moist, spicy, savoury or sweet, filled with fruits, nuts, chocolate, almond paste, custard, with icing on the top, flavoured, coloured, its all your choice. 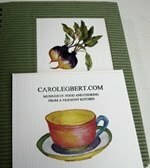 Just one request: As this is a vegetarian blog, I would like to ask that all recipes be vegetarian (eggs are OK). 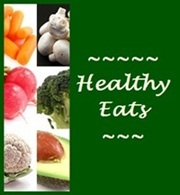 Vegan, gluten-free, allergy-friendly recipes are welcome! Subject line of the email should begin with BBD15. Finally, attach a 250-pixel-wide photo of your creation. If your blog is not in English, then please send me a translation of your post in English or create the BBD post on your blog in English. If you do not have a blog but would like to be a part of this event, please send me your recipe and write-up (with picture, if possible) and I will include it in the round-up. The deadline for submissions is January 1st, 2009. Apart from their nutritive value, carrots are a crunchy, tasty, and deliciously sweet vegetable. Carrots are ideal for snacking, desserts, bhajis, and salads. The wonderful thing about carrots is that they take on flavour very well. 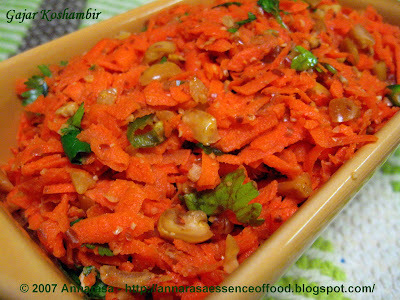 Gajar Koshambir or Indian-style Carrot Salad is a great salad to add to an afternoon meal. 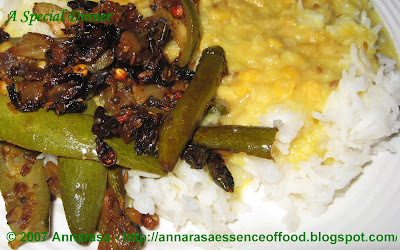 Its fresh citrusy flavour is superb in adding balance to any curry, vegetable, and even rice. Here's how I make Gajar Koshambir. Grate the carrots and place in a mixing bowl. Crush the peanuts coarsely. Mix in the peanuts with the salt, sugar, cilantro, and green chilli. Squeeze the lemon into this mix. Blend well. Pour into a serving bowl. Chill for at least an hour before serving. This recipe goes to The Cooker who is hosting JFI: Carrots this month. JFI,the brainchild of Indira of Mahanandi blog. It also goes out to Mansi of Fun & Food Cafe who is hosting a Vegetarian Thanksgiving Recipe Carnival.